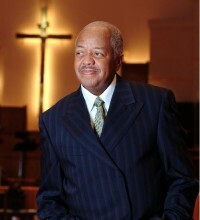 GOSPELflava joins countless others around the world mourning the passing of Daryl Coley. Born October 30, 1955 in Berkely, California, Daryl would gain early exposure to jazz music and display an affinity for playing keyboards early on in his high school years while attending Claremont High with friends Rodney Franklin and bass player Freddie Washington. The Bay area connection would lead him to found an organize the New Generation Singers (which would go on to do background on James Moore’s first LP) and meet the likes of Walter and Edwin Hawkins. Coley toured with the Hawkins family, making a unforgettable appearance on the tag of Holy One on Tramaine’s first solo album in addition to being the perfect duet partner for Lynette Hawkins Stephens on Do Your Best from Walter Hawkins’ I Feel Like Singing album. Daryl’s stand out vocals caught the attention of Reverend James Cleveland, that association would lead to his fronting He’ll Never Let You Down for the Gospel Music Workshop of America recording in 1982. Just Daryl, his first solo album was released in 1986 and received a Grammy nomination. Daryl would record additionally for Light Records and for Sparrow Records, releasing such standards as To Live Is Christ, He’s Right On Time, It Shall Be Done, He That Dwelleth, Beyond the Veil, Integrity, When the Music Stops and a host of others. Daryl’s body of work outside of Gospel music included a performance of the Star Spangled Banner on The Simpsons and a featured performance on the 1984 Ramsey Lewis and Nancy Wilson album, The Two of Us. Some of his most memorable performances comes from guest appearances with the Wilmington Chester Mass Choir (He’s Preparing Me, Sovereign, He Shepherds Me) and Donald Lawrence and the Tri City Singers (When Sunday Comes) his improvisation on Quincy Jones’ arrangement of the Hallelujah Chorus. BMI honored him with the Trailblazers of Gospel Salute in 2013.